Island Mazda near Staten Island, NY is excited to show off the 2017 Mazda3 & 2017 Honda Civic’s different features. The 2017 Mazda3 is equipped with a 2.0 liter inline-4 that delivers 155 horsepower and 150 pound-feet of torque as a standard engine. Accordingly, buyers can opt for a more powerful configuration in the 2.5-liter version that produces 184 horsepower and 185 pound-feet of torque. These powertrains are paired with a standard six-speed manual and optional six-speed automatic transmission. In comparison, the 2017 Honda Civic is powered by a 2.0-liter 4-cylinder engine that can crank out 158 horsepower and 138 pound-feet of torque. Similar to the 2017 Mazda3, the 2017 Honda Civic also has another powertrain option in a 1.5-liter turbocharged 4-cylinder engine that puts out 174 horsepower and 162 pound-feet of torque. The powertrains are also matched with a standard six-speed manual transmission and optional automatic gearbox. Reports state that the 2017 Mazda3 and 2017 Honda Civic are both recipients of the Top Safety Pick awards from the Insurance Institute for Highway Safety but it appears that the 2017 Mazda3 has also earned the Top Safety Pick+, the highest honor in the event. Accordingly, the 2017 Honda Civic catches up as it outperformed the 2017 Mazda3 in the National Highway Traffic Safety Administratthe ion administered the crash test. The 2017 Mazda3 has a fuel economy rating of 28 and 37 miles per gallon in the city and on the highway respectively with the automatic gearbox. It was mentioned that the same result is given by the manual transmission. The 2017 Honda Civic, on the other hand, has 31 and 40 miles per gallon in the city and on the highway. Considering the fact that Mazda has been named the most fuel-efficient automaker last year, however, the numbers do not seem to add up for Mazda. The 2017 Mazda3 and 2017 Honda Civic have both advanced technology, safety, and fuel-efficient features. 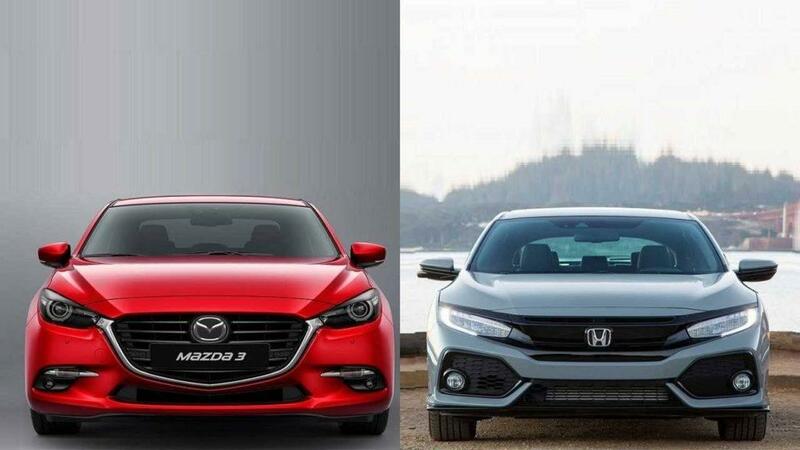 Contact us now or check out and compare for yourself the difference between the 2017 Mazda3 and 2017 Honda Civic here at Island Mazda located near Staten Island, New York.